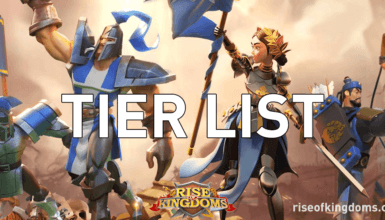 Today in this video, I’m going to show you guys what I how to Tier 4 as fast as I can and basically minimal approach into the game Rise of Kingdoms! First Step: Get Your City Hall To Level 21 Quickly! So firstly, try to get your City Hall to level 21 in the shortest time. Tier 4 Units are only unlocked at City Hall level 21. You need to minimize the costs of upgrading your buildings and technologies. Some of your buildings can be at a lower level than the others and it is totally fine. You shouldn’t really need to focus on a lot of the buildings yet. You top priority is to get the City Hall to 21. The Barracks to be level 16. The Tavern to be level 20. The Academy to be level 21. The Trading Post to level 13. The Storehouse also needs to be level 18. 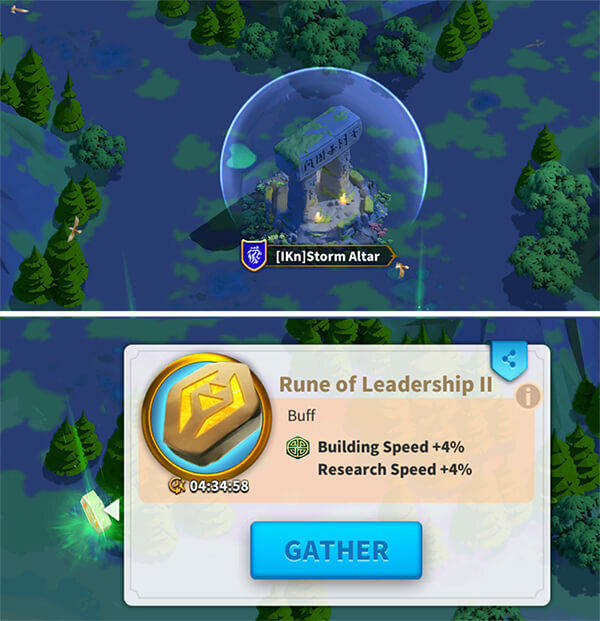 When you upgrade your buildings, try to capture the runes from the Altar. The Sanctum has lower rewards but it is okay If you can’t gather the Altar. Sometimes you can get the 7% Building Speed buff or the 7% Research Speed buff. 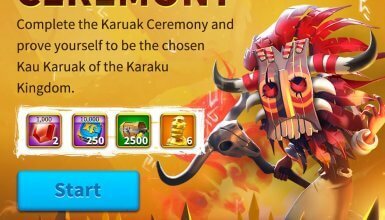 Camp your units there when people are about to attack the Altar to collect the best Runes. Also, you want to make sure that you get some help from your Alliance members by upgrading your Alliance Center whenever have idle builder. In addition, Alliance has technologies that help you increase the Research Speed and Building Speed a lot. That is why you should always try to get into a good Alliance with high Technology. 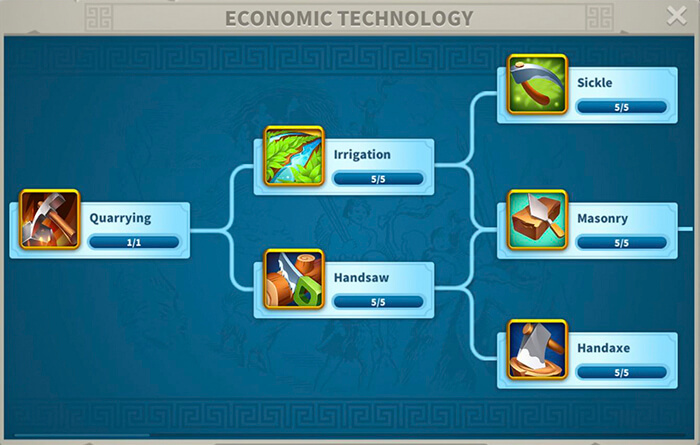 Stop wasting your time to research the first 6 Economic technologies below. You don’t need to research them. You can get them by visiting the Tribal Villages. You want to go in a straight line: Metallurgy → Writing → Multi Layer Structure → Jewelry → Plow → Sawmill → Engineering → Mathematics. Focus on the Mathematics first because the research speed of Tier 4 Units takes a really long time, 14 days. 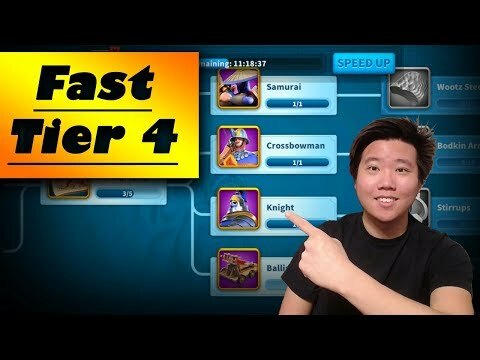 Having Mathematics at level 6-7 is enough for you when getting Tier 4 Units. After that you can focus on the Engineering. Similarly, you should also research the Military Technology in a straight line. The only exception is the Pathfinding. 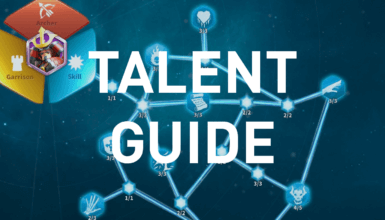 You want to get the it to level 5 in the early game as it helps you a lot at exploring the maps and finding Tribal Villages/Mysterious Caves. And that’s it guys! It is the only and fastest way to unlock T4 Units in Rise of Kingdoms right now. If you have any better advice, feel free to comment down below and let us know!